You will be met by our representative at hotel and commence our Discover KL Tour. This tour begins with a stop at The Independence Square, once the main British parade & cricket ground. Here, learn about the single-phase construction of Mughal-style colonial public buildings, that includes the famous Sultan Abdul Samad Building. Later drive by the Old Railway Station followed by a photo stop of The Petronas Twin Towers. Then we will visit Batu Caves, famous for its celebrated limestone cave temple followed by a visit to Royal Selangor Pewter Visitors Centre. Among the highlights at the centre: Pewter Museum, two-storey high replica of the Petronas Twin, the Chamber of Chimes, Hall of Finishes and Giant Weighing Scale. The Factory Tour shows you ‘live’ the different pewter production processes - casting, filing, polishing, soldering, hammering and engraving, as well as the intricacies of making Selberan’s fine jewellery. Transfer back to hotel after tour end. Overland transfer to Malacca (journey will takes approximately 1 ½ hours drive) after breakfast. We will proceed for tour of Malacca city where you’ll catch some amazing sights of heritage buildings and ancient landmarks. We start with a visit to St. Peter’s Church which was built in 1710, the oldest in the country that is still being used today. Then, we drive past the 17th Century Chinese Hill. We next proceed to view the famous gateway of Porta De Santiago and the ruins of St. Paul’s Church that is lined with 17th Century Dutch tombstones. Next up is the Red Square – a salmon pink Dutch Administrative Building that now houses the Malacca Museum and government offices. We then visit Christchurch before breaking for lunch, then resuming with a trip to the Cheng Hoon Teng Temple, the oldest active temple in the country. Finally, we take a stroll along Jonker Street, a heritage street lined with shop houses that ends at the banks of the Malacca River. Lunch will be served at local restaurant. After the tour, overland back to Kuala Lumpur. Check-out from the hotel after breakfast, overland transfer to Cameron Highlands (journey takes approximately 5 hours drive). Upon arrival at Cameron Highlands, we will proceed for Discover Cameron Tour. This tour will take you to a Tea Plantation and Factory to witness the processing of black tea and later to sample various kind of tea in the teahouse. We will also have an opportunity to visit the Orang Asli Hut and Butterfly Farm. Stop for lunch on your own. After tour end check-in to the resort, rest & relax. Steamboat dinner will be served at the resort. Check out from resort after breakfast. Today we will journey to Ipoh for a tour of this interesting city. 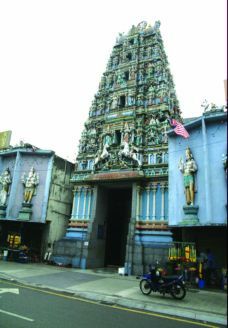 Jalan Bandar Timah & Little India. At the end of the tour feel free to sample the many delicious cuisine available within the vicinity on your own. From western meals at the famous FMS Bar & Restaurant to an authentic Indian Banana Leaf Rice Meal. For the more adventurous, try the famous ‘Ipoh Hor Fun’ (Flat Noodles in Sup) or ‘Lobak’ (Assorted Fried Fritters). 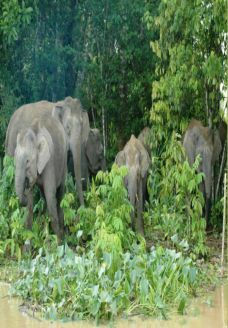 After tour overland to Belum – Temenggor rainforest journey will take approximately 3 ½ hours drive. Breakfast is served at the resort. Followed with a tour by boat many interesting sites on the famous Lake Temenggor. 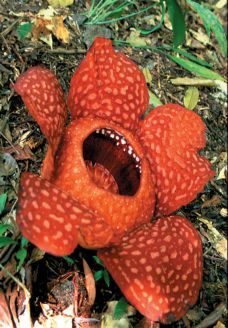 It begins with finding the largest flower in the world, the Rafflesia. Then proceed on the elephants track to see the place where these animals go to feed on the salts and minerals in a particular soil type. The lunch will be near a picturesque waterfall in the forest. If you wish you may take swim in refreshingly cool water. Stop at one of the villages of Orang Asli aborigines, before returning to the resort. Check out from resort after breakfast and journey overland through the main mountain range offering a breathtaking view of the tropical rainforest. As we arrive in Kota Bharu, popularly known as the cradle of the Malay culture, we will embark on Discover Kota Bharu tour before checking in at the hotel for a night. This tour covers a visit to the scenic journey to the reclining Buddha, arrive and visit the reclining and sitting Buddha (Wat Photivihan, the longest lying Buddha in South-East Asia with 44 metres long 11 metres high and 9 meters wide). Visit the puppet making - Wayang Kulit & kite making then move to Seven Lagoon Beach, the famous Fish Farm in Kelantan. Last destination to Pengkalan Hulur (Malaysia – Thailand border), where we can buy some souvenirs at Duty Free shops. Breakfast is served at hotel. Free at own leisure till departure pick up, where you will be transferred to the airport / jetty for your onward destination. Upon arrival in Kota Kinabalu, you will be met by our representative and be transfered to the city for an introductory tour of Kota Kinabalu, the State Capital of Sabah. Among the highlights of the tour are Signal Hill, Atkinson Clock, Sabah Foundation building, City Mosque and local Handicraft Market. After tour, check-in hotel, rest of the day free at leisure. 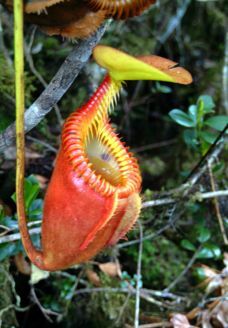 of Kinabalu Park, proceed for lunch (own arrangement) at Balsam Restaurant before guided walk tour to the Mountain Garden; home of flora and fauna, such as Orchids, Carnivores pitcher Plants, ferns, rhododendrons, birds and small insect. Take a short walk to one of the trails of the Mt. Kinabalu. Check-in to the resort after tour. Breakfast is served at the resort. Check out from the resort and we will depart for Poring Hot Spring and proceed for 1km trekking to the Canopy Walkway to experience the thrill of being on the treetop at the elevation of 42meters from the ground. At Hot Spring center, take a chance to dip yourself in the Natural Hot Water with Sulfur; that it has therapeutic value to body skin. Lunch (own arrangement) at local Restaurant. After lunch, we will continue overland journey to Sandakan (journey will takes approximately 5 hours drive). Check-in hotel, rest & relax. After breakfast, drive for approximately 30 minutes to Sepilok Orang Utan Rehabilitation Centre. Proceed to the free roaming area and feeding platform to witness feedin time at 1000hrs. At this center, observe as man’s closest relative, “the Orang Utan” is rehabilitated to the wild of their natural habitat. Also, experience a walk in the Tropical Lowland Dipterocarp Forest of Borneo. Depart Sepilok and transfer to jetty in Sandakan. Take an hour boat cruise up to the Lower Kinabatangan River Sanctuary where you will take your lunch at Abai Jungle Restaurant. This is a wonderful journey of discovery which starts from the waters of Sulu Sea of Sandakan Town through a magnificent scenery of the Mangrove Forest. After Lunch, free and relax at our nature board walk before cruising in seach of other wildlife. After dinner, the night cruise leads you to admire as Fireflies blink in mangrove trees along the river bank. Wake up by the calls of nature. Early morning take a river trip to Pitas Oxbow lake to observe wildlife and experience the uniqueness of Pitas lake. After breakfast, an option to join our tree planting project with the locals and lunch with them at Abai Village. This project is specially designed to help the locals. 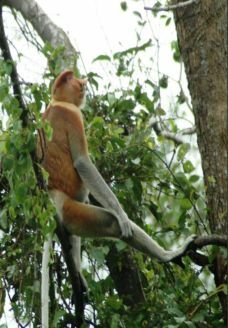 After lunch, cruise up river to Sukau village in search of primates especially the Endemic Proboscis Monkeys, birds and other wildlife. Arrive Sukau, check in at the Kinabatangan Riverside Lodge. Late afternoon, take another river cruise with electric motor to Menanggul River, a small tributary of the Kinabatangan. Return to the lodge for dinner. Wake up by the calls of gibbons and hornbills. After Breakfast, proceed by land to Gomantong Cave. Explore the largest bird's nest cave in Sabah, home to millions of Bats & Swiflets. Nest of the swiflets are collected for the famous Chinese edible bird's nest soup. Then continue overland journey to Lahad Datu town, followed by 2.5 hours overland journey on gravel road to Borneo Rainforest Lodge. The Lodge is home to the full range of Sabah’s lowland fauna, including the rare Sumatran Rhinoceros, wild boars, and Orang Utans. Arrival & check in at the lodge. Lunch is provided. In the afternoon, take a Jungle Trek that will give you an introduction to the forest through Nature Trails and Canopy Walkways. Dinner at the lodge. In the evening, proceed for a slide show and if weather permits one can go spotlighting in an open-air jeep to view some of the nocturnal animals. Breakfast at the lodge. Take an early morning Jungle Trek to the Kadazan-Dusun burial site – “Coffin Cliff” then proceed with trekking to the “View Point” for a bird’s eye view of the area. Descent to the “Jacuzzi Pool” for a refreshing dip. Return to lodge for lunch. In the afternoon, walk through trails leading to canopy walkway. Dinner at the lodge.